'Do You Hear The People Sing?' 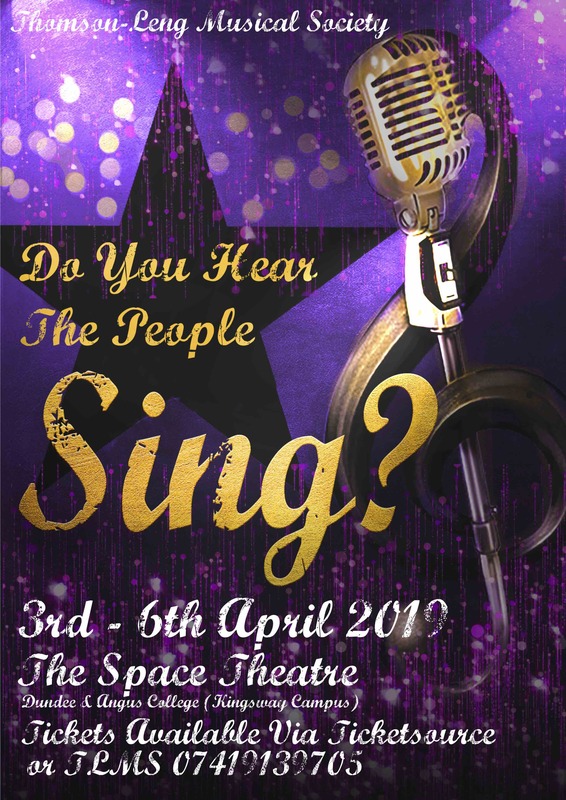 at The Space Theatre, Dundee College (Kingsway Campus), is a Musical Extravaganza featuring songs from Waitress , A Star is Born, Guys & Dolls and much much more - at just £12 per ticket. Performed by Thomson-Leng Musical Society, 'Do You Hear The People Sing?' is a theatrical production featuring songs from a huge range of shows from old favourites to the new stars of broadway such as Hamilton! It's an all singing, all dancing revue show that's guaranteed to have you singing along to your favourite show tunes.